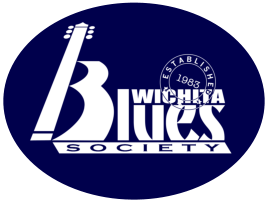 The Wichita Blues Society was incorporated as a non-profit organization in 1983 by a handful of Blues lovers who wanted to revitalize the blues scene in the Wichita area. Since that time, membership has grown and the WBS is one of the oldest societies in the nation. The WBS is a proud affiliate of The Blues Foundation, a non-profit organization founded in 1980. The WBS shares the foundation’s dedication to preserving Blues history, celebrating Blues excellence and supporting Blues education. As a way of recognizing and honoring the behind-the-scenes people and organizations that work year-round to perpetuate the Blues, the Blues Foundation presents the annual “Keeping the Blues Alive” Award. WBS was honored with this esteemed and coveted award in 2000 as Blues Society of the Year. 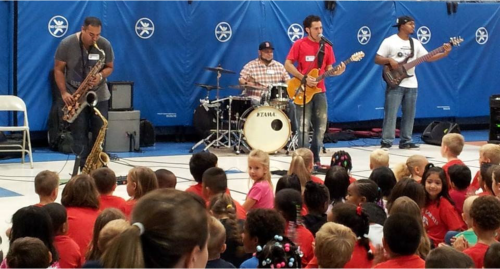 WBS Shares Live Music with Our Community. Your sponsorship also helps cover the costs of our events so that proceeds can go to our year-round educational activities, programs or workshops. Our music events, held throughout the year, promote an appreciation of the blues, but also enrich our community by providing live music performed by local musicians. Live performances are one of the characteristics of a vibrant community. Event sponsorship helps reduce our out of pocket expenses so we can focus more proceeds on our Blues in the Schools program.